You can listen to Margaret’s reading here. You can listen to the shortlisted poets reading here. 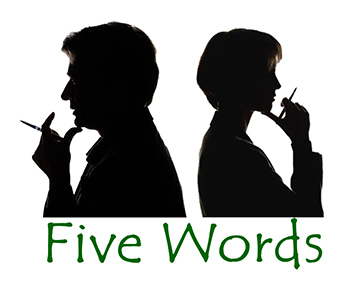 and to the Five Word Challenge entries here. Ó Bhéal’s 7th Anniversary event celebrates the launch of Five Words Volume VII – with readings by contributors, shortlistees – and the winner of our inaugural Five Words International Poetry competition, Don Nixon. 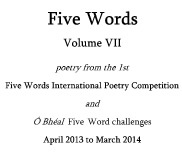 This annual publication now includes the twelve shortlisted poems from the International competition, a number of whose authors will be reading on the night, as will some of the contributors to the last fifty Five-Word Challenges held at Ó Bhéal. As per every year, the open-mic is for poems written by any other poet than yourself, so bring a couple of your favourites! You can listen to Don’s reading here. Don Nixon lives in Shropshire, England. He began writing about ten years ago when he retired from full time work as an academic and administrator. At first he wrote short stories, mainly in the crime genre, and was encouraged to continue when he won the Writers` and Artists` short story competition run by Bloomsbury Press in 2004. He was further encouraged when an early short story was published in Birmingham Noir by Tindal Street Press. Since then he has won or been shortlisted in various short story competitions. Some short stories have been published in anthologies and magazines in the UK and North America. 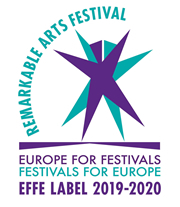 Most recently he had two stories included in Crime after Crime (Bridge House Publishers) and a short story Exit Pursued will be published shortly by the Canterbury Festival publishers. In more recent years he began to write poetry which he greatly enjoys and is particularly interested in the formal styles. He is a fan of the sonnet form. He has won and been shortlisted in various poetry competitions and has received awards at the Poetry on the Lake festival in Italy, The Leeds Peace Poetry festival, the Oxford Deddington festival, the Canterbury festival, the Chester University High Sheriff Prize for Literature and the Liverpool University Creative Writing Festival among others. Currently he is shortlisted for the York Literature Festival later this March. Some of these poems have been published in anthologies and magazines, the latest in Poetry of Shropshire (Offa’s Press). Last year his first novel Ransom in the Western Adventure genre was published and he is now working on a sequel and trying to assemble enough poems for a first collection. He enjoys writing and likes to move between different genres though at the moment he is trying to write more poetry. As he came to it late, he feels he is on a constant learning curve. He feels it keeps his brain occupied. He never imagined he would be writing after he retired and still does not think he is a `real` writer but says it is a great hobby. Through it he has met many interesting people and made some good new friends. He looks forward to meeting the Ó Bhéal poets of Cork. He has a happy memory of visiting Cork and the West of Ireland over forty years ago. Tógadh Niamh Ní Lochlainn le Gaeilge i mBaile Atha Cliath, áit ar fhreastal sí ar cheann de na céad Gaelscoileanna. Chaith sí samhraí a h-óige i nGaeltacht Chora Dhuibhne. Bhain sí céim amach sa bhéaloideas agus sa tseandálaíocht ó Choláiste na hOllscoile, Bhaile Átha Cliath sa bhliain 1993. Tá sí ag plé le máistreacht ar an mBean Feasa, in Ollscoil Chorcaí faoi láthair. D’fhoilsigh Coiscéim cnuasacht filíochta léi, An Guth ón dTobar, sa bhliain 2003. Foilsíodh dánta eile léi ó shoin, na h-irisí, Feasta, An Guth, Irish Pages agus THE SHOp, ins an áireamh. Tá sí ag cur fúithi agus ag obair mar bhun-mhúinteoir sa Ghaillimh. Niamh Ní Lochlainn grew up in Dublin with Irish as her first language, attending one of the first Gaelscoileanna in Dublin and spending her summers in the West Kerry Gaeltacht, Corca Dhuibhne. She studied Irish Folklore and Archaeology at University College Dublin, graduating in 1993. She is currently researching for a master’s degree in Irish Folklore, on the Bean Feasa in University College, Cork. Her poetry collection An Guth ón dTobar was published by Coiscéim in 2003. She has had poems published since in journals that include, Feasta, An Guth, Irish Pages and THE SHOp. She lives in Galway, where she works as a primary school teacher. You can listen to Graham’s reading here. Graham Allen is a Professor of Literature in University College Cork. He is the author of numerous books and articles on literary and cultural theory and Romantic Literature, including Mary Shelley (2008) and Intertextuality (2000. New Ed. 2011). Allen was born in Barking, Essex in 1963. He studied in Wales and England before taking his first academic post in Dundee, Scotland, in 1990. He moved to Ireland in 1995. Allen’s poetry has been published widely in journals. He was the winner of the Listowel Single Poem Prize in 2010 with the title poem from his collection The One That Got Away (New Binary Press, 2014), which itself was shortlisted for the 2013 Crashaw Prize. His ongoing epoem HOLES, viewable online at (www.holesbygrahamallen.org) was first published by New Binary Press in 2013. You can listen to Gerður’s reading here. Gerður Kristný was born on June 10, 1970 and brought up in Reykjavík. She graduated in French and comparative literature from the University of Iceland in 1992. A full time writer, she won the Icelandic Literature Awards 2010 for her book of poetry Blóðhófnir which is based on an ancient Nordic myth, told in the Eddic poem Skírnimál, about the attempt of the Nordic fertility god Freyr to fetch the poet’s namesake Gerdur Gymisdóttir from her far away home as his bride. Kristný has published collections of poetry and short stories, novels, books for children and a biography, for which she received The Icelandic Journalism Award in 2005. Gerdur’s play The Dancing at Bessastadir, based on two of her children’s books, premiered in the Icelandic National Theater in Reykjavík in February 2011 and was acclaimed by the public and critics alike. Other awards for her work include The Icelandic Children’s Choice Awards in 2003, The Halldór Laxness Literary Award in 2004 and The West-Nordic Children’s Literature Award in 2010. Gerður lives in Reykjavík but travels regularly around the world to present her work, giving readings in places like Kampala, Cox’s Bazar, Maastricht and Colgata. You can listen to Catherine’s reading here. Catherine Phil McCarthy’s most recent collection The Invisible Threshold was published by Dedalus Press, Dublin in 2012 and was shortlisted for The Irish Times / Poetry Now Award 2013. She is a former editor of Poetry Ireland Review. She has worked as Writer in Residence for the City of Dublin Arts Office and at University College Dublin, and has recently completed a writer’s residency at Centre Culturel Irlandais in Paris. She has won many prizes and awards including the Fish International Poetry Prize in 2010 and most recently, the eighteenth Lawrence O’Shaughnessy Award (www.stthomas.edu/irishstudies) for Irish Poetry in 2014, conferred by the University of St. Thomas Center for Irish Studies, St Paul, Minnesota. You can listen to Kim’s reading here. Kim will also be holding a wordshop from 7.00pm to 8.30pm at Ó Bhéal entitled Journeys. For more details click here.